This Agreement is concluded between a Seller and a Purchaser. The Seller is willing to sell and the Purchaser is willing to buy a certain plot of vacant land. 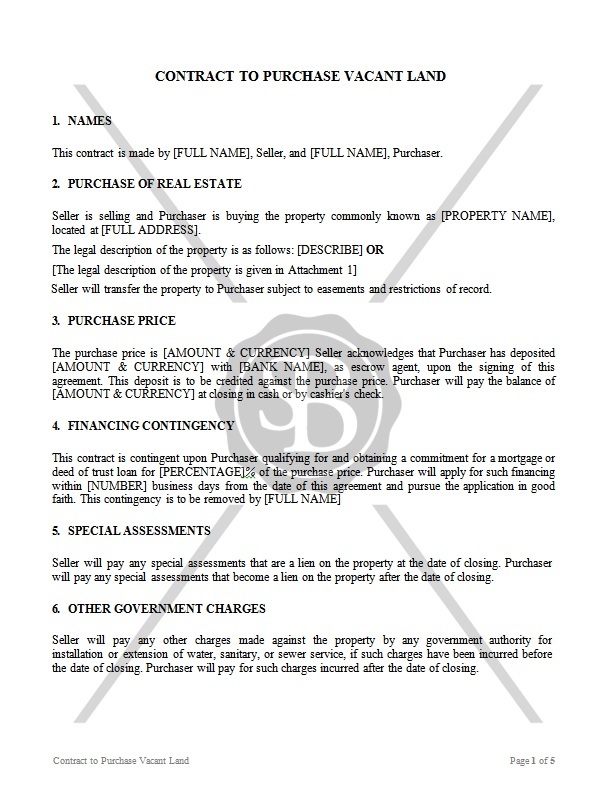 The Agreement sets out terms and conditions of the sale, rights and liabilities of the parties, etc.